Brief Summary of the Plot from Goodreads: (link to Goodreads above) “Stephen Hawking was the most renowned scientist since Einstein, known both for his groundbreaking work in physics and cosmology and for his mischievous sense of humor. He educated millions of readers about the origins of the universe and the nature of black holes, and inspired millions more by defying a terrifying early prognosis of ALS, which originally gave him only two years to live. In later life he could communicate only by using a few facial muscles, but he continued to advance his field and serve as a revered voice on social and humanitarian issues. Hawking not only unraveled some of the universe’s greatest mysteries but also believed science plays a critical role in fixing problems here on Earth. Now, as we face immense challenges on our planet—including climate change, the threat of nuclear war, and the development of artificial intelligence—he turns his attention to the most urgent issues facing us. Will humanity survive? Should we colonize space? Does God exist? These are just a few of the questions Hawking addresses in this wide-ranging, passionately argued final book from one of the greatest minds in history. Brief Summary of the Plot: Criminologist Christopher Berry-Dee goes deep inside the mind of the world’s most sick ,sadistic and predatory people alive. The author introduces the book as follows “Welcome to ‘Christopher World’, with a gilt-edged invitation to take you on a journey for, dare I say that I am your ‘tour guide’ on a road trip into the deeply disturbing and darkest recesses, the abyss of the minds of psychopaths and savages, because now that you are reading this book, you are coming with me, like it or not!” The author discussed the differences between “psychopath” and “savage”, fleshing out his thesis using 9 “case studies” on some of the most vile and violent people on Earth. My Review: Although I found the crime details thoroughly disturbing, there is also something surreal, and therefore fascinating (all be it in a negative way), about people who kill without empathy or remorse. I have a hard time killing a spider, so I cannot even imagine how someone can be capable of killing another human being, and then acting like it was nothing. The concept of harming another person is completely alien to me, and somehow, because of this, I was able to disassociate a bit from the narrative, and see it more as a story rather than the facts of a real life crime. To not disassociate, would have certainly led to agoraphobia. These psyhopaths are outwardly just ‘normal’ people…they could be anyone! Shiver. Puts a whole new perspective on internet dating, doesn’t it? If you like to read true crime novels, or just like to be plain scared, then this book is for you. The Writing: The writing is excellent. David Sedaris is probably one of the funniest authors I have ever read. I find myself laughing out loud at some of the many stories (I usually never laugh while reading, even if its supposed to be funny). For example, I particularly liked his story about getting a fit bit. Once he got the fit bit, he was obsessed with getting steps. Starting out with 10,000 he soon graduated to 20,000 steps a day, then 30,000, all the way to 60,000 steps! From walking around his tiny Sussex village (he was living in England at the time), to picking trash up off the road, he would find things to do just to make the steps. When his fitbit broke, he asked himself “Walking twenty-five miles, or even running up the stairs and back, suddenly seemed pointless, since without the steps being counted and registered, what use were they?” He promptly purchased another one. Expectations/Recommendations: I previously read another book by David Sedaris (Let’s Explore Diabetes with Owls) back in 2017, and I remember liking it. This book surpassed my expectations. I would definitely recommend it. Brief Summary of the Plot: In 1978 Ron Stallworth was the first African-American Intelligence Unit Detective in the Colorado Springs Police Department. As part of his job, he scanned the daily newspapers for any reports or information concerning hints of subversive activities which could impact the welfare or safety of Colorado Springs. One day he saw a classified ad for the KKK. He answered the ad, pretending to be a white man and racist. When the KKK called him back, it sparked a year-long undercover investigation into the KKK, during which time a white undercover cop pretended to be Stallworth in person, while Stallworth continued to be himself over the telephone. What I thought: Overall, the book was good. It was a really interesting subject, and one that I had never heard of before. The writing was good and so was the audiobook version. If I had to compare it to the other memoirs I have read this year so far, I would say it ranks toward the bottom, but that’s not to say this book is not good…I just read some really fantastic books in January, 2019. 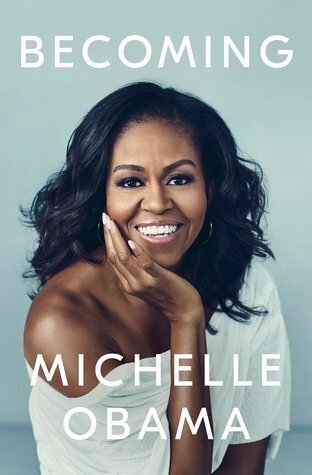 The Audiobook of Becoming is read by the author, Michelle Obama. This is really fantastic because its like the author herself is talking directly to you about her own story. On the list of memoirs I have read so far this year, (Educated, The Year of Less, and Girl Wash Your Face), this book ranks toward the top. The book is very well written and M. Obama writes with the openness and frankness that is the foundation of every good memoir. From fertility issues to the white house, M. Obama seems to hold nothing back. I couldn’t have said it better. This is a must read for 2019. I have some spoilers in the rest of the review, so feel free not to read on. The Goodreads’ synopsis (link below) of this book says as follows. 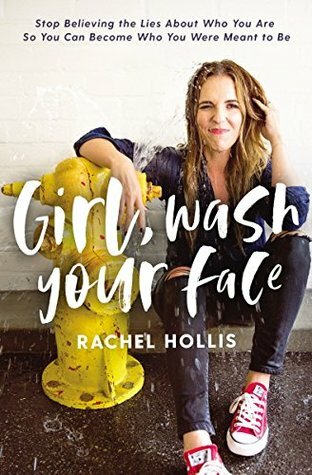 “Founder of the lifestyle website TheChicSite.com and CEO of her own media company, Chic Media, Rachel Hollis has created an online fan base of hundreds of thousands of fans by sharing tips for living a better life while fearlessly revealing the messiness of her own. Now comes her highly anticipated first book featuring her signature combination of honesty, humor, and direct, no-nonsense advice. I’m having a really hard time writing a review about this book because I really do not know how I feel about it. I didn’t love it, and I didn’t hate it. It paled in comparison to the other memoirs I read this year so far (Educated and The Year of Less), but it was also entertaining. Sometimes I could not relate to the author (e.g. she is a Christian and talks openly about God, and I am not religious). Other times, I did relate to what she was saying, and I generally liked her “you go girl” attitude. This book is by far not my favorite, but a solid 3 out of 5 stars. I really liked this book, as disturbing as it was. I would go further to say that this is a must-read for 2019. The writing is great, and it reads truly like fiction, even though, alarmingly, it is not. I read (listened) to this book in only a few days, as it is honestly hard to put down. Educated is the true story of the author’s childhood growing up in a fundamentalist Mormon family in rural Idaho. It is a revealing story, which looks into the hard truth of Westover’s upbringing, and the author’s portrayal of her family and herself is at times scathing and highly critical. The story parallels the fiction book The Great Alone in so many ways. In both stories, the protagonist grows up in the shadow of her overbearing, paranoid father. Westover’s mother is, like I imagine most women are in abusive relationships, meek and diminutive, bending to the whims of her husband, no matter how ridiculous or crazy. This is also true in the The Great Alone. Both fathers suffer from some form of mental illness, in The Great Alone it is PTSD, and in Educated, the author’s father is (undiagnosed) bipolar. Being conservative / fundamentalist mormon adds another layer to the complications of living with such a man, as Westover’s father becomes a prophet of sorts for his harshly conservative brand of Mormonism. His “testimonies” are the bedrock of the family ethos and are not to be questioned. I have some spoilers below, so read on with caution.